Where has this year gone? It seems a long time since I’ve added a post to my blog so the best way to remedy this is to offer some promotion tips. Following on from my blog tours in January and April, I did some promotion with our authors networking group, CHINDI (which stands for Celebrating and Helping Indie Authors). This year, CHINDI brought out a new ‘Author of the Week’ initiative and so I decided to take my turn in May. so I instead tried to focus on some different areas of book promotion. May 14th Read my article on research as featured on our CHINDI website. This light-hearted blog describes some of the early research I did for my decade spanning thriller series and the joy that was yet to be discovered for this whole series. 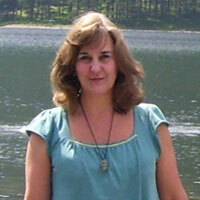 May 15th Crime mystery author Isabella Muir featured my 2nd post on research. This article goes deeper into the different techniques of research I used for later books in the series from YouTube to visiting places and interviewing real people. My author Q&A with Angela was a real joy to put together with lots of stuff about writing, books, inspiration, our writing aspirations and photo sharing on Instagram. Earlier this year Carol Thomas very kindly taught me how to create a video trailer and in this very helpful article we explain the process for my Beginnings book trailer. This article explains how authors can use Pinterest to depict characters, plot structures and create a setting for a novel, as I did for the decades in my own book series. I am just about to finish another edit on Book 3 Pleasures before I finally draw a line under this series and start something new. Completing the series was a challenge but one I thoroughly enjoyed. By the time I had written Retribution (in two parts) however, I realised how much my writing style had evolved over the years. So my next goal was to bring the first two books up to the same standard, thus I relaunched a new edit of Beginnings in January and a new edit of Visions in April 2018. Pleasures was probably the book I enjoyed writing most of all but that too needed some work! It’s been three years since I touched it, so it was time to take another look. The style of writing wasn’t bad but there was room for improvement given comments from reviewers and Beta readers from overwritten descriptive phrases to a ‘show and not tell’ approach. Pleasures is due for a relaunch in August. Reviewers/book bloggers are welcome to a free copy. No obligation to review but if you’ve been following the series just enjoy the book! After much deliberation, I will be taking all my titles out of Kindle Unlimited so that they can be distributed to a wider audience. This means that the entire ‘Same Face Different Place’ series will soon be available for readers who prefer Nook, Kobo and Apple i-Books. I hope to publish the links in my next blog but until then, enjoy the lovely sunny summer we are having in England. Bye for now. This entry was posted in Guest Posts, Research, Self Publishing, Writing and tagged author Q&A, authors, blog, book marketing, book trailers, Instagram, interview, marketing tips, Pinterest, promotion, Promotional tools for authors, research. Bookmark the permalink.